It’s been said that bamboo restores emotional calm and stimulates creativity. So why not literally build a sanctuary upon those ideas? 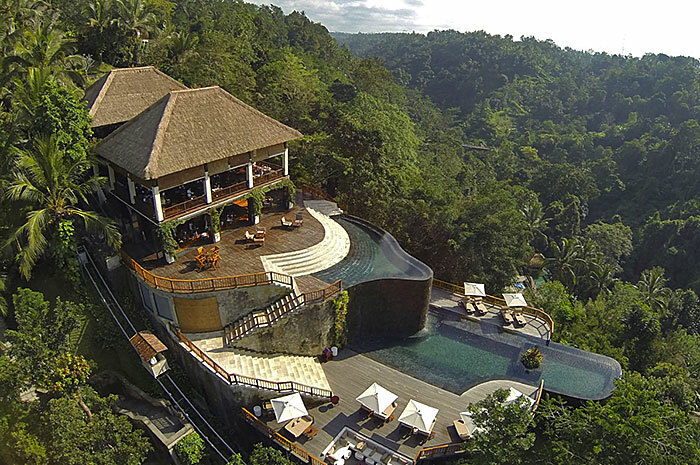 Ubud Hanging Gardens is a series of villas built on bamboo stilts in the Bali hillsides. 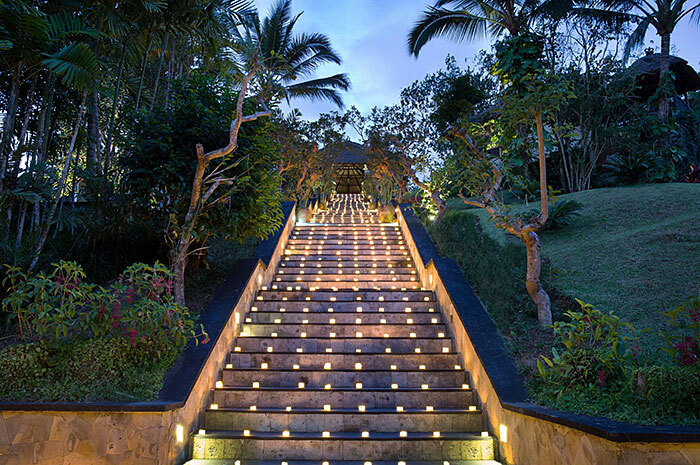 The goal was to create a space magical and authentic, yet still harmonious with nature. 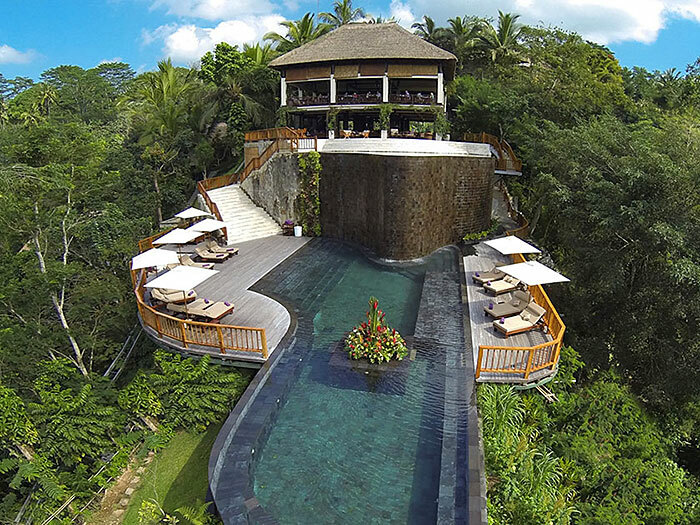 There could be no better execution of this goal than Ubud Hanging Gardens. 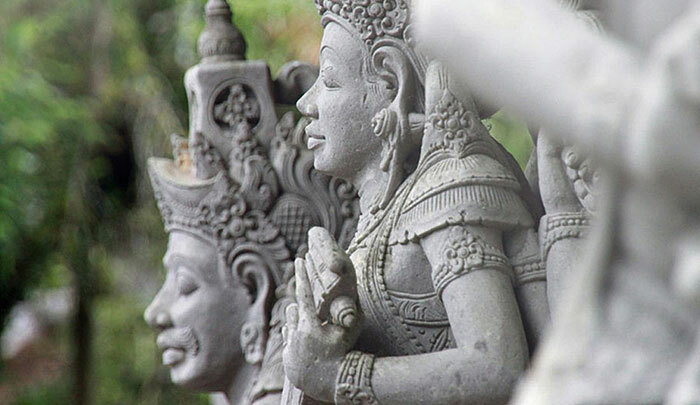 Ubud was built by over 700 local craftsmen, and reportedly only one tree in the forest had to be moved to make way for the villas. The attention to details in this high-top getaway is impeccable. 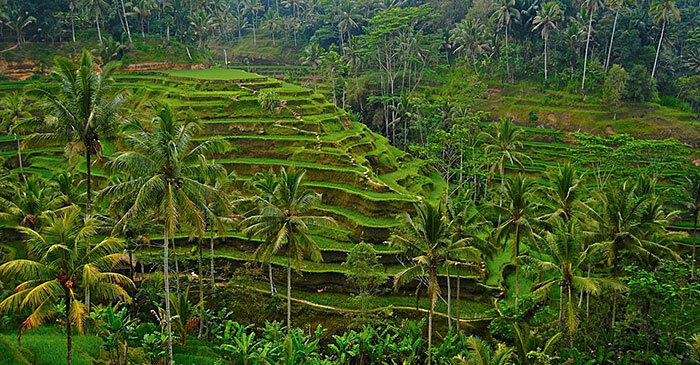 Bamboo-topped funiculars were built as a method of easy transportation throughout the levels of Ubud. The stones used to create the walkways were individually cut from the local river and imprinted with leaves from a local fern. 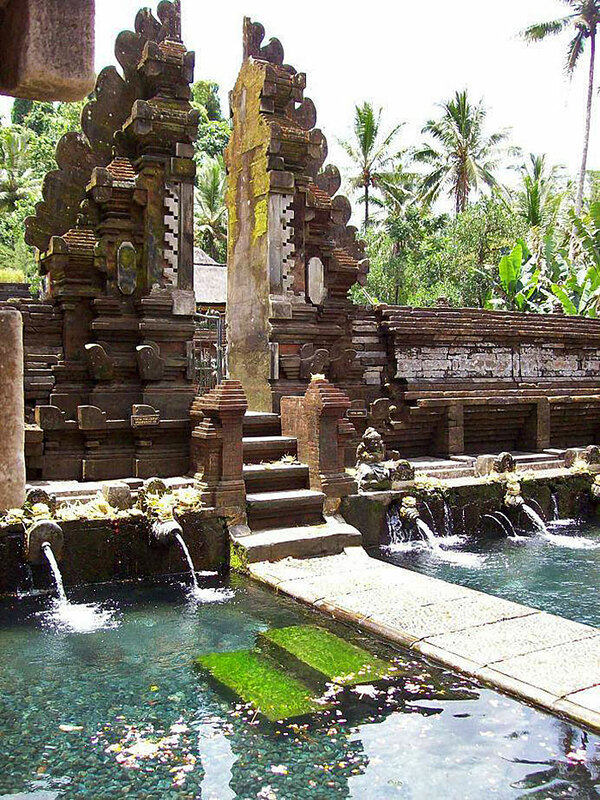 The steps were built from the local volcanic ash of Mount Batur. 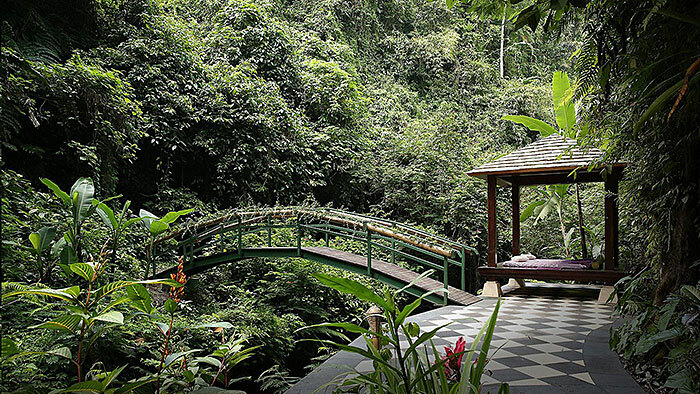 The all of the resort’s spa products and recipes include plants from the hotel’s exotic garden. The resort is surrounded by rice fields, ancient temples, mountains, forest, local villages, and abundant rivers free for you to explore. The hotel also offers diverse activities that you might not get the chance to try anywhere else. 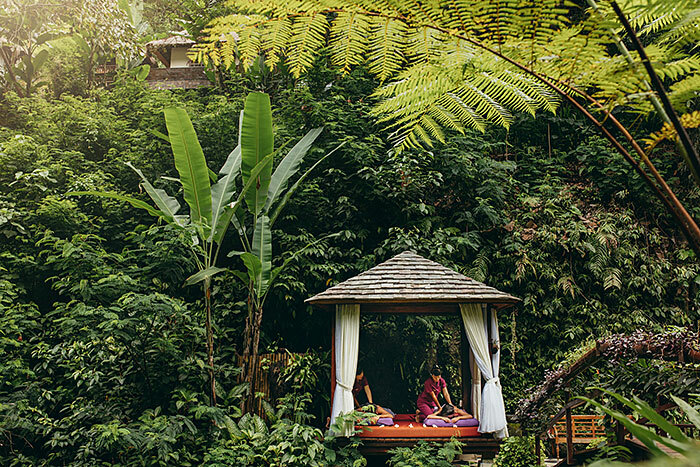 While taking a dip, guests can indulge in floating sunset dinners in ‘The Most Amazing Pool in the World’, five-star spa experiences, Balinese cooking classes, local village treasure hunts, traditional painting lessons, chakra meditation, open top VW rides, and even mountain biking. 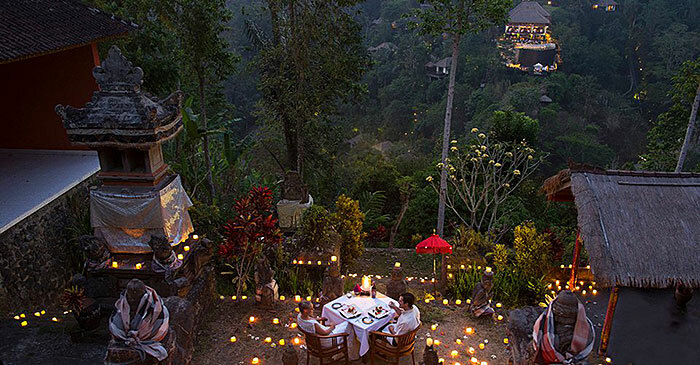 Between sleeping on bamboo stilts, practicing your cooking, taking a dip into infinity, and paying respects at ancient temples, Ubud Hanging Gardens has the perfect balance of relaxation and fun to make for an unforgettable trip.